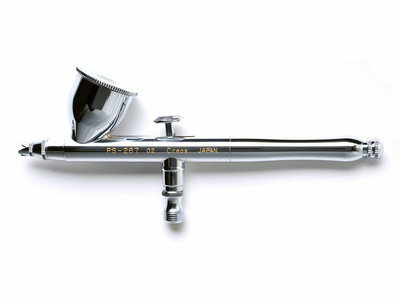 The GSI Creos Mr Procon Boy LWA is detail airbrush orientated, gravity fed, continuous double action airbrush with an 0.2mm nozzle.Excellent starters airbrush. As with all GSI Creos airbrushes it's manufactured & finished to a high standard & offers excellent performance at a reasonable price. Snelle levering van een nieuwe airbrush spuitje.